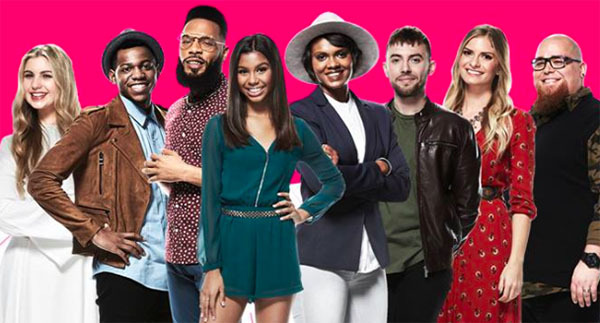 The Voice Season 12 Top 8 Live Semifinals tonight, Monday, May 15, 2017 on NBC. It’s semifinals night on The Voice! The remaining Top 8 artists performs live for your votes, results revealed on Tuesday. The remaining Top 8 artists performing tonight are Jesse Larson from Team Adam. Brennley Brown and Hunter Plake from Team Gwen. Lauren Duski, Aliyah Moulden and T Soul from Team Blake. Chris Blue and Vanessa Ferguson from Team Alicia. Mark Isaiah and Lilli Passero were eliminated from the show last week. Keep locked on this page, The Voice 2017 Top 8 live semifinals performance show recap and videos will be posted below once uploaded online.